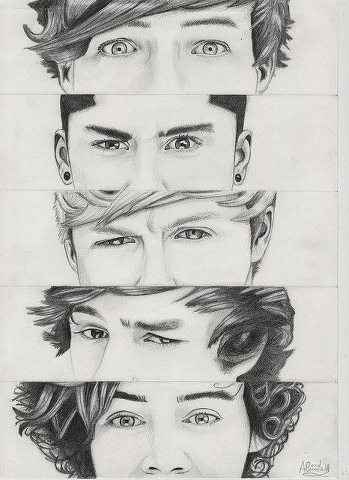 Cool pencil drawing. . Wallpaper and background images in the One Direction club tagged: ♥ random one one direction tumblr direction facebook 1d. This One Direction fan art might contain портрет, выстрел в голову, близком расстоянии, макро, and крупным планом. My Babysitter: Harry Styles - Фан Fiction - Part 11: Scream.